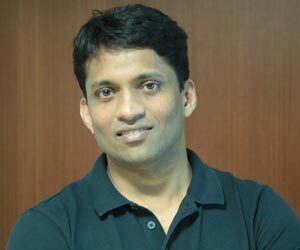 Mr. BYJU Raveendran, Founder & CEO, BYJU'S, an Entrepreneur by chance and a Teacher by choice, is the Founder CEO of India's largest Ed-tech (Learning) Company, BYJU’s, that is reinventing how students learn, through its learning app. Since its launch last year, the learning app has already seen phenomenal engagement, with 5 million downloads and more than 200,000 paid annual subscribers. The Learning App makes use of original content, watch-and-learn videos, rich animations and interactive simulations that, as opposed to rote memorization, make learning contextual and visual. Equally important, the app adapts to the unique learning style of each student, inviting them to explore different concepts and suggest a learning footprint for the student that can also address any gaps in learning.